This will fit nicely with Wipso's Friday Smiles. Yes I'm a day late, and no, this photo wasn't taken on a Friday, but it's OK, no one died and you want to hear the story don't you? Well there we were, trundling down the A303 in the van, going towards the M3, heading for a cute village that is now further enhanced by some of our windows. Ahem. I'm the assistant, obviously, in view of my status as Apprentice. This means when we're both in the van that I don't have to drive. So as the only passenger I enjoy the luxury of a double seat and frequently fall asleep. It was only because it wasn't an early start that I wasn't asleep. And therefore didn't miss this truck full of unstripey zebras. There was a deal of scrabbling to get my gloves off and find my 'phone, but Mr Dunnit is not the husband of a scrapbooker for nothing - he slowed down as much as he could, and was instantly saying that I shouldn't expect too much as the van windows were grubby and the speed, however slowed, might blur the pictures. But I'm really pleased with them! Of course, it was Mr Dunnit who pointed out that they were unstripey zebras .... the roundy ears are a dead give away. Well, now you say it..... We looked up the company online once we were at home; they actually specialise in glass fibre swimming pools, so I guess that a lorry load of zebra were a departure for them! I wonder where they were going. Clearly, they're on the way to the stripe painter. But after that? And erm, why? Share my pain..this post might be in different typefaces - we have a new computer and I can't bend it to my will yet. Argh. This post is scheduled, and as my desk will be unchanged, I wont feel too bad. We were working elsewhere last week and this week, the only non-free day is Wednesday. I'm beginning to suspect Mr Dunnit's motives! There's loads on my desk but not much to see. I deliberately haven't changed it because that would be more staging than is worth it! Under the '&' paper is five LOS that I managed to do at the crop at the beginning of the month. Each needs journaling before filing and I simply haven't got further than unpacking yet. I'll show you when they're done. You know I'm good for it, because once done, I'll be smug. The cards in cellopane are spread out on a basket of supplies waiting to be put away. 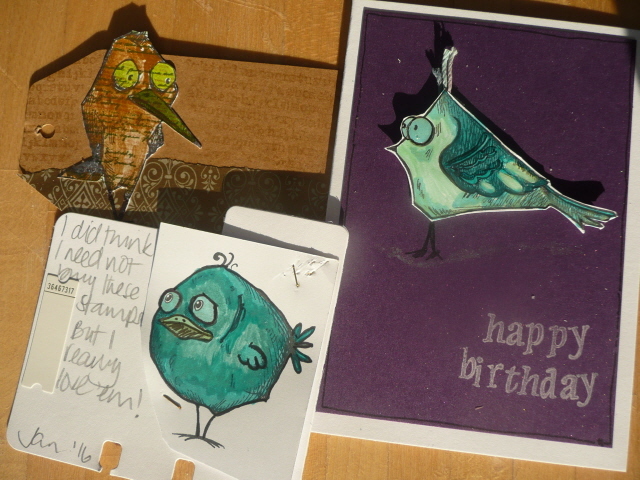 The new cards are part of a selection that I'm choosing from for a workshop. Fascinating. You can just see one of my new stamps 'wood' mounted teacup by Finnabair. I may not drink much tea, but I love to get together for it! And at this angle, it looks strange, but on top of the sellotape is just a reel of tape awaiting my having the strength to load it into the ATG gun. It takes about thirty seconds, so you understand my delaying. 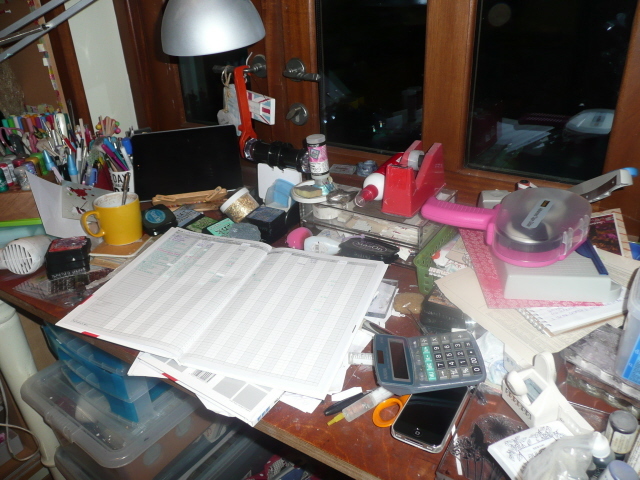 Share then will you, your work surface this week - let us see what you're doing (or not doing, as in my case). No overt advertising please. Put WOYWW in your post title and link here. Cool. As the kids apparently don't say any more. Well, Who knew! I try really hard to drink. So on days when I'm at home, I have a routine that begins with coffee. Just the thought of tea first thing makes me gag! Coffee is my beverage of choice unless I'm somewhere really hot. And it's past midday. 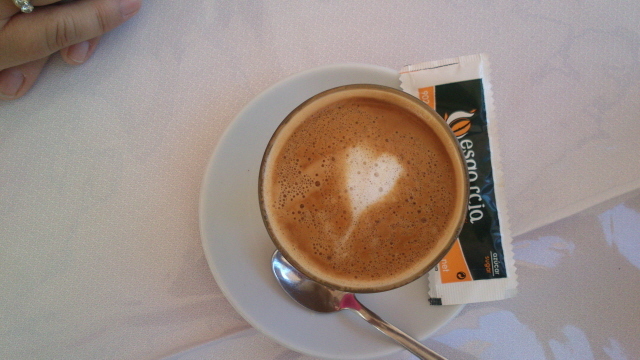 These days it has to be decaffeinated coffee though, on account of erm, my age, I think. I didn't suffer terrible withdrawal symptoms and the benefits immediately outweighed the headache; getting to sleep within minutes, tasting more, no bad dreams and inevitably a reduction in blood pressure. I continue to be amazed by the results. And I continue to be unable to tell the difference between caffeinated or not. And worse still...I now need reminding to order decaf because I sort of assume that if I've changed, everyone else has too! Lots of white space, this must be an arty shot! So I have coffee in the morning, and between lunch and teatime I have a long tall glass of squash. I don't love it, but it does the liquid count a lot of good. Thing is, if I'm at my desk doing something crafty, I quite often forget to drink it. Which goes a long way to illustrating my state of mind when doing book keeping or housework....sometimes I've managed 2 whole glasses! Distraction techniques... Then at day's end, Mr Dunit comes home and we have a cup of tea whilst supper's cooking. And that's the only tea I have. It's traditional English Breakfast Tea. I can't bear all the fruit flavoured tea..imagine my disappointment when they turned out to be like drinking perfume..as dry and unsweetened as fragranced water, but lovely and enticing smell and colour. What a let down. And don't point me in the direction of adding honey or something gingery or worse, something healthy...I've tried it all, and I'm petulant and childish about it now. I don't like it. My great dislike is also my greatest first world problem; I'm ashamed but reticent: I don't like water. I'll drink a mouthful to take a pill or cure a coughing fit, but that's it. I've taught myself to drink it carbonated for the want of anything else in the pub (I drink very little alcohol) and having given up caffeine, I avoid Diet Coke which used to be my 'go to' of choice when offered a drink in a pub. Oh it's all so complicated! So now when you see my cup on my desk, you can be at least be assured that you know why I'm drinking! And if you have any suggestions..I'll take 'em! Joining Elizabeth et al for T Tuesday, you could too! Jan flagged something to me on Facebook last weekend that indicated it was stationery week. I dont actually know if this was last week, ending on Sunday, or this week, but who cares - for me, any week will do! I am a stationery junkie. I can't even do the grocery shopping without browsing the stationery and paper aisle. I love it when we need stuff for the office, even a ream of copier paper gives me a small thrill. I wasn't born into a family of stationers or post office keepers. I'm not a journal or diary keeper. I'm not even any good at using my Filofax. The household uses a calendar (home made) and I have a diary for work..mostly because I make notes in it, and it's useful to have the dates of certain notes! There is no technology involved, just good old fashioned paper and pen. Oh, let's talk about the notebook. Lovely. The potential of an empty notebook! 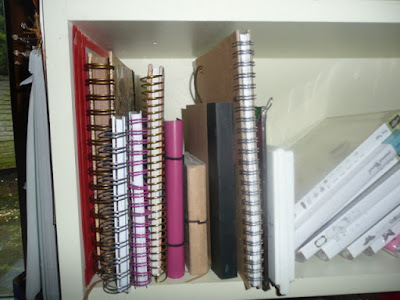 Like boxes of tissues - for some people - I'm pretty sure I have a notebook in every room. I'm a list maker, an idea jotter - I like to immediately write down quotes I hear on the radio, or place names or things I want to research a little. A blank page is wonderful. Although technically, I'm frightened to death by a blank page; I prefer my notebooks to be lined or feint grid, I find them much less trouble to start! I have a preference too for ring bound notebooks that will lie flat. But it's only a preference - if the cover is appealing, my heart says to have it anyway. I get as much pleasure from finishing as starting a notebook, so there's a bonus don't you think no remorse! I don't do the journal thing, and probably never will, and the new craze for crafters/scrapbookers to have planners has passed me by. Because really that's just a diary that you decorate. And I don't use my Filofax so I'm not going to use a planner, huh. But any book to write in is a joy..the humble notebook has a large place in my heart. I'll tell about other stationery problems some other time. I have a need to go and count my staplers! Yikes, deskers! Here it is untouched after a workshop and then a crop. 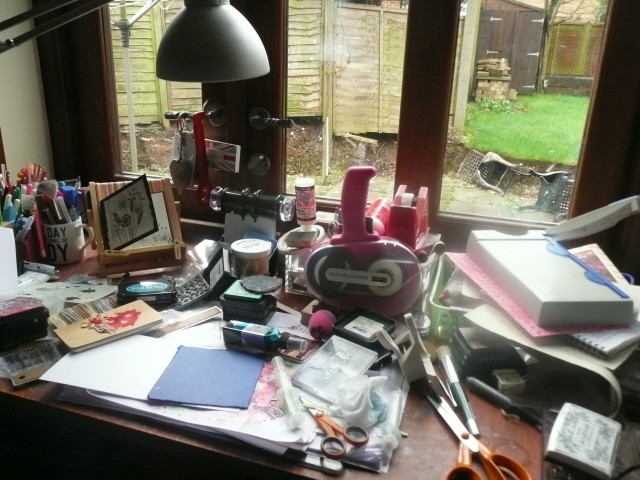 We've been out fitting windows, so my desk has been rather neglected! It's a bit over exposed as well, but you have to understand about me and photography and me and cant-be-bothered. You can tell it was crop, my weapons of choice are loaded into the craft tote that LJJ made for me, complete with my 'away' glasses perched in the end pocket. Not usual, that. I'm so paranoid about not having glasses where I need them that they're usually far better tucked in - for safety's sake! 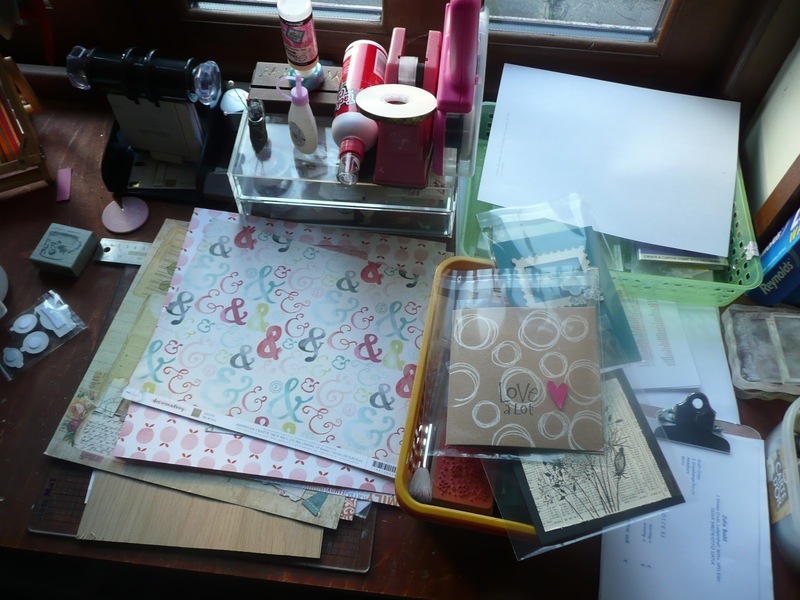 The basket at right of the tote contains makings for one of the workshop cards, there was embossing and a Pearl Ex palette, not sure which card; if I haven't already, I'll share it at some point. I think that's it in terms of interest...blimey, must do better! Still - it is consistent in the untidiness! So do share your desk and what you're doing at it, that will be great for a languid visit with cuppa in hand! All of my visits tomorrow will be by iPad...that spells trouble with comments, so bear with me! 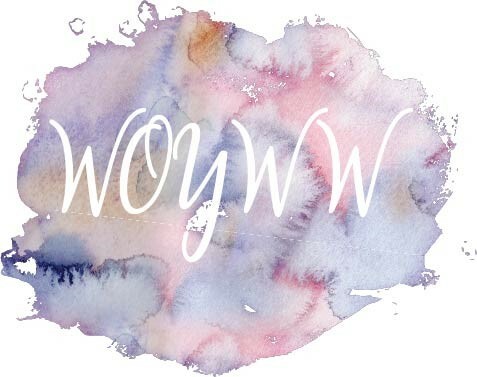 Don't advertise, put WOYWW in your title and link your post here, that's all. The rest is about visiting each other and being inspired! Quite often, on my trip around the desks, I see crafters who have a variety of glues. In fact sometimes, more glue that I have paint. It's funny how we're all wired so differently, yet practice the same sort of hobby. I'm too impatient to use glue unless I absolutely have to. Drying time is always an issue for me. I still can't decide if this is because it means I have to leave things to dry and therefore they aren't finished - moving away from the desk with unfinished stuff is deeply dis-satisfying for me, or if it's simply because it has never occurred to me to use glue. I 'learned' card making and stamping from a couple of masters who used tape. And I use acid free tape in my scrapbooking, so I guess I've just not met a reason to change. Neet said that her friend Mary has spent years (and therefore probably $$) trying out glues and only now thinks she's found 'the one'. It was that remark that triggered my thoughts on glue, really. I wonder how much she uses and if it's her adhesive of choice in any situation. At workshops, and probably at home as well, The Librarian uses photo glue for sticking even flat stuff. She says, and I really agree and think it's very sensible, that the wet glue gives her a few seconds to straighten or jauntily angle stuff that tape doesn't. True dat. 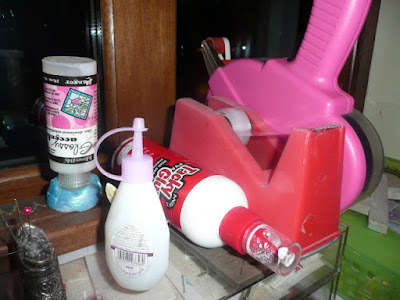 I use wet glue for dimensional embellishments or where I think even the red tape wont be up to it. I have to think twice about using it though. Perhaps I'm clumsy. I recognise and understand the need for glue, but because I'm a tape gal, I never thought it was that important, but in fact, even in my small collection, each has different jobs. Obviously, the dimension gained by silicone glue is great. If you remember not to squash the damn item flat into the stuff because you aren't used to working with it. I often opt for this instead of foam pads when I'm doing scrapbook pages. No specific reason, I think somewhere at the back of my mind I think it may last into perpetuity. Totally don't know. The PVA (Aileen's) is there because we use it as home glue as well as it being the one I can control well enough to make a clean sticking of buttons and other non porous surfaces. And because we all like peeling it off our fingers once dried. Don't we? The little glue is a really cost effective one and for wet glue, relatively quick drying. 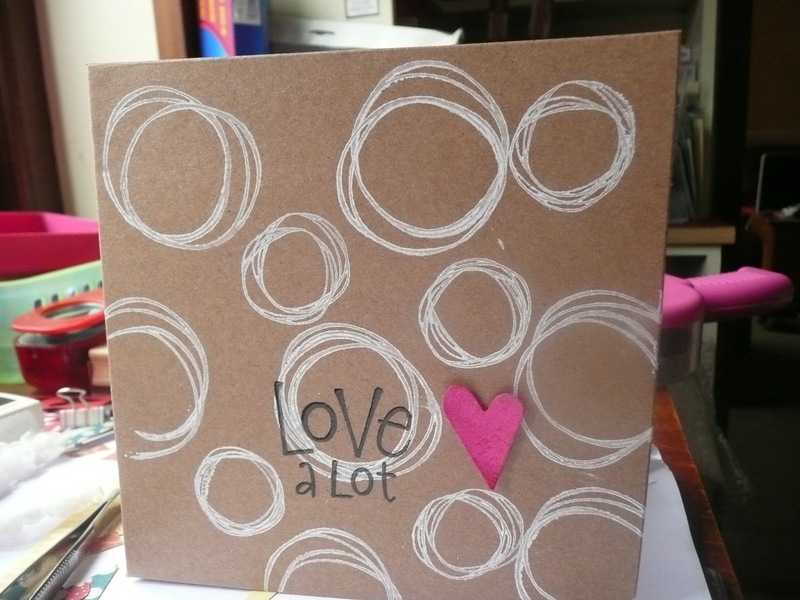 Its by Dovecraft and was developed for quilling. Sticks paper to paper really well...but it is runny and I can make the most awful mess with it, quickly. Argh. So that's a reveal isn't it? Something you didn't know about me? 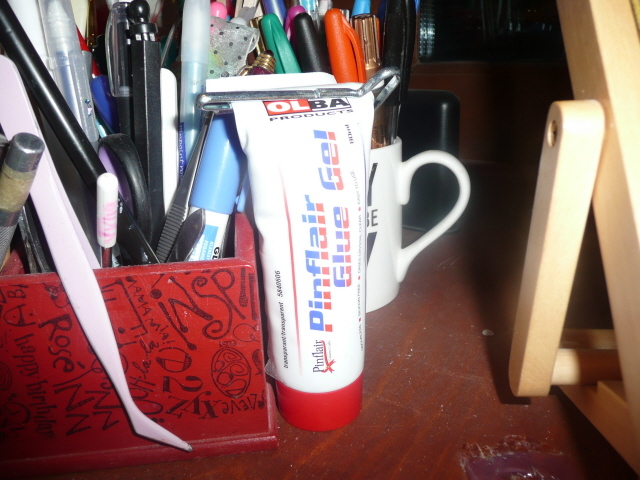 Perhaps the wet glue thing is the beginning of the reason why I don't do paints and journals and things too...I dunno. If there are any psychologists reading this, you're welcome to tell me what I think! As for you other nutters....tapes or glue? I'm really curious to know! This is unstaged, but those casually placed cards look very posed huh. I was showing LLJ the fruits of her giving me an old atlas. I love it and am starting to 'think Empire' when I need a background now! You see the detritus of a short session, is all. Am trying to use the box of coloured scraps as often as possible. It's crop this weekend, so there will actually be more scraps this time next week! Argh. You can see the big scissors. Someone must have borrowed them. I don't use them more than once in a flood for paper crafting. You can just see the upside down heart punch, the heart featured in yesterdays post. And that's it. Not overly interesting, huh! Inspire me do, link your WOYWW Blog post here so that I (and others) can visit you. You must be doing something more interesting! The great Darnell has put me right, and I really thank her for that. (She only pretends at madness, methinks. )The thing is, Google are still messing with my head, if not yours! 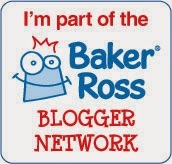 In order to comment on Blogger blogs, you will need a free Google account. Not the Google+ account that i was yammering on abot. This is better, because a Google account is a lot less invasive and dictatorish than a Google+ account. Having this Google account means that you can 'resume' being a follower, by using the appropriate badge. A decoy, but hey... thanks to Kbwalker on Pinterest, this ended up nothing like hers, but something like it! Its boring being wrong. Its also boring that Google feel the need to make everyone a 'client'. I will continue with the wordpress blog (juliadunnit.wordrpress.com) - because I've started it. On Wednesdays, the linky thing will appear only on this blog...or I'll be all over the place. If it becomes difficult to even do that on Blogger, I'll let you know! Carry on, then. Stay with me on this..if you are already a Blogger blog writer, then changes won't, I don't think, stop you commenting. It is only commenting and following that you will be prevented from doing if you arent a Google+ account holder. You will stll be able to read this blog and the link thing oon Wednesdays will still work for you. My venture into Wordpress is merely another platform on which identical blog posts will show up. I'm not actually leaving Blogger. Unless they make it impossible to stay! 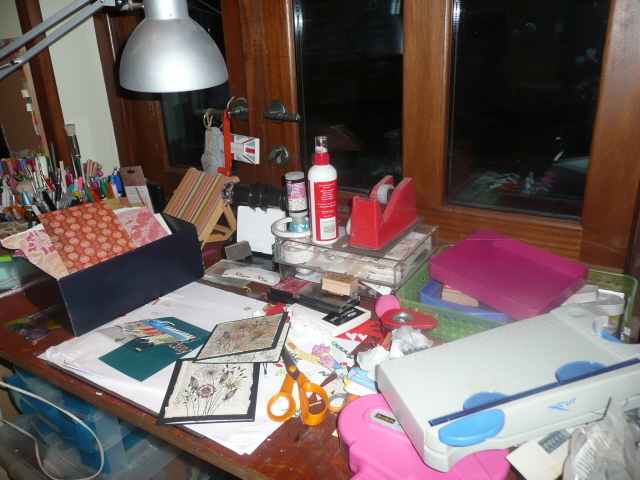 So this week, I've been crafting a bit and making a huge mess. Seriously, everything is everywhere. I enjoyed it. Every time I go outside, I right the chairs and put them out of the wind. Then it changes direction and does this again! Ack! I took this on Tuesday, just after lunch. It's worse this morning; because I had book keeping to do and couldn't face tidying up. So I pushed back and worked atop the mess. Shocking, huh. It will look like that for most of today; there's VAT and year end to be sorted. Gosh, how glamorous! Join in will you? 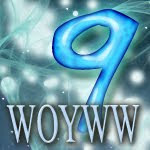 Put WOYWW in your post title so we can find it easily. A photo of your desk and what you're doing on your blog and link here. No blatant advertising please, this isn't meant to be a promotional spot, just join the community! These are some of TH's Crazy Birds. Helen stamped them for me over a year ago and I've just got around to using them. I didn't think I'd ever want the stamps, but it seems that I do. And the dies. Because these are fiddly to cut out. And then, I'd quote like some of the accessory stamps too. Like the various hats, and some of the words. On that basis I could do with the dies for those too.And suddenly, thats over £100 if you can get them. There seems to be a shortage of the bird stamps, and it all starts with those. Hush my mouth for suggesting it may be deliberate. Keeps the prices up, keeps the interest up. I'm off the idea now. And whilst I'm being cynical, so to Google. 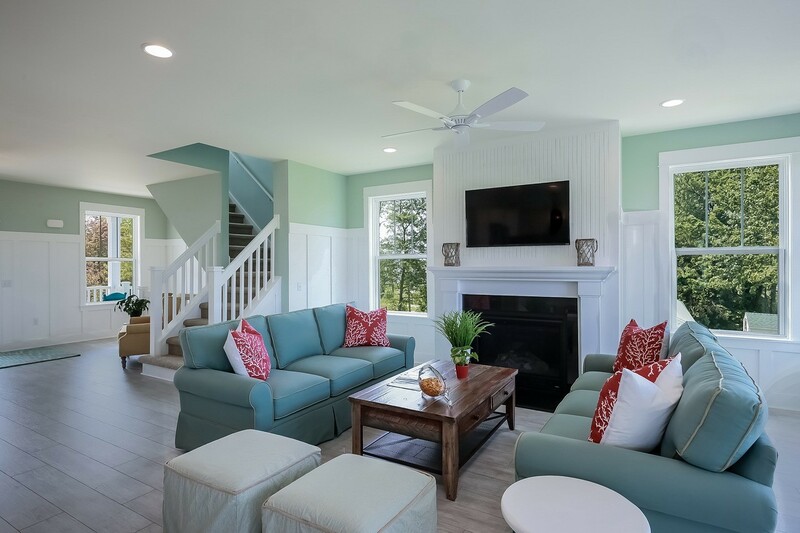 They have reminded me that as owners of Blogger and Google Friends Connect and Google+ (and who knows what else) that they can control who comments on my blog. And they are going to change it up so that you can only comment if you have a Google+ account. They say this will improve everything for everyone and will even increase my comment numbers. Of course it won't. Having a Google+ account means that like it or not, you are given a gmail account and are fully absorbed into the Google culture. It may not be for you, and hey, it'll just save you comment time on this and countless other blogs. Well, these badly disguised ways at making people do things that they don't want to makes me really mad. So.....I've opened an account with Wordpress, and for now, will run the two blogs. They will have exactly the same articles on them, I just want to see if the going is any easier over there. I know that you have to register to comment, but that's all. Wordpress don't then dictate that you join an imaginery friends circle, they don't force you to use their email account, etc. We'll see. You be the judge. Let me know! I couldn't get Stamping Ground as a blog name over at Wordpress, others have come before me. So its actually even easier to find: juliadunnit.wordpress.com .